Stacy and I, along with our young daughter decided to brave the autumn cold and visit Stacy's brother Richard in Nebraska. 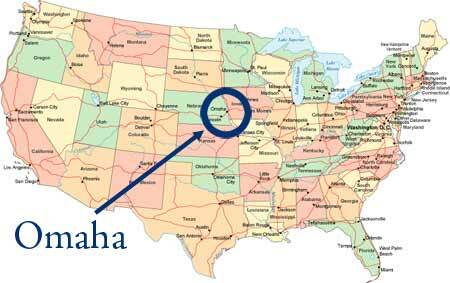 Omaha is right in the middle of the U.S. Before my visit, I knew it for life insurance, railroads, corn, steaks and Elliot Smith. Oh, and snow. Lots of snow. For the next seven days, I'd find out plenty of other things about Omaha. 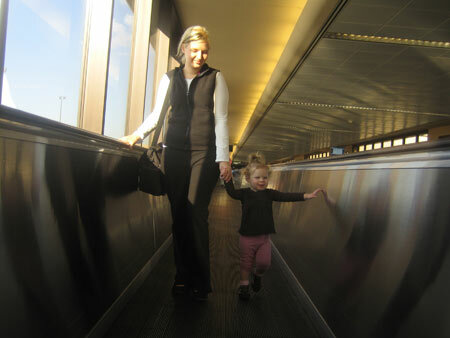 This was my first air travel with a small child. 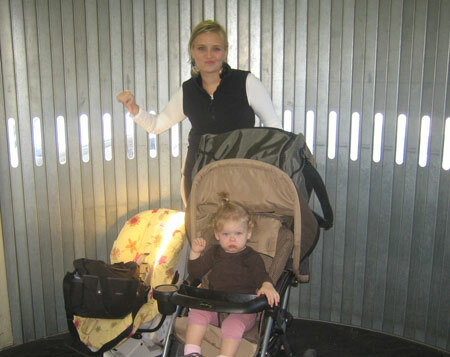 Traveling with even one infant is tricky. Sit in her own full-price seat, plus we'd have to provide our own car seat. We elected to buy her a seat. We figured it was the only way to ensure that she would sleep on the flight, and although we would have to drag a car seat through four airports, we were both confident it would be best to give her a seat of her own. We left on the earliest flight, a 6:10 am flight out of Sacramento, with a transfer in Phoenix. Getting through security was going to be tricky, because we had so much equipment with us. The stroller, car seat and our bags had to go through the X-ray machine, and everyone needed to have their ID and their tickets in hand. A special note to airport security: I ONLY HAVE TWO HANDS. 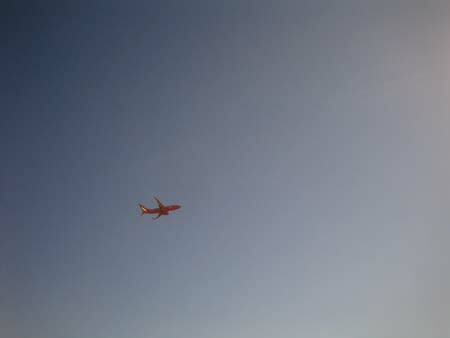 In no time, we were in the air, flying across the US in total comfort. In Phoenix, we transferred flights, and June talked to all the other kids in the airport. 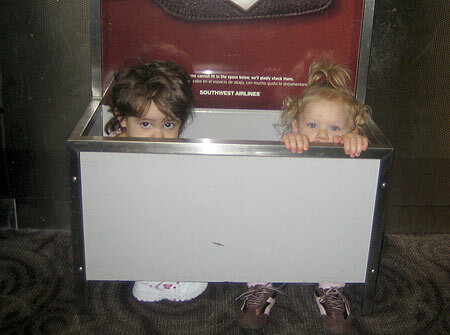 She made friends with a little girl named Ashley, and they hung out together in the carry-on luggage size-testing box. Flying with an infant isn't all bad. For example, you are allowed to pre-board, and usually end up with the best seats. There were just some hurdles, such as trying to secure the car seat to the airplane seat, and trying to get our stroller back into one piece. I have no idea how people do this by themselves. 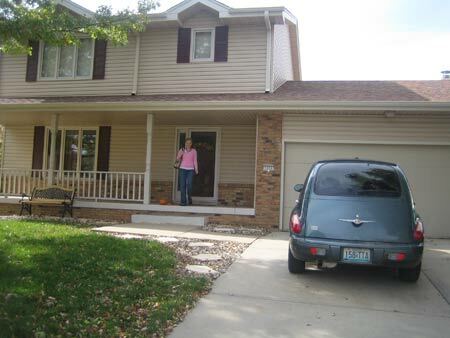 In any case, we arrived alive in Omaha, and went to pick up our new Chrysler Caliber from Budget Rent-A-Car. Unfortunately, they didn't have our Caliber, so we got a PT Cruiser instead. We immediately began pronouncing it "Petey Kwoozah". a la Michelle Elyzabeth. Alright! Enough complaining! We were in Omaha! Whoo! During our visit, we stayed with Stacy's brother's family. It was perfect because they had an extra room with a crib. 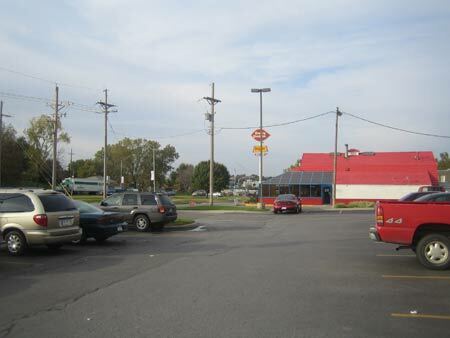 Throughout this travelogue, I have tried to include some photos of ordinary things in Omaha. 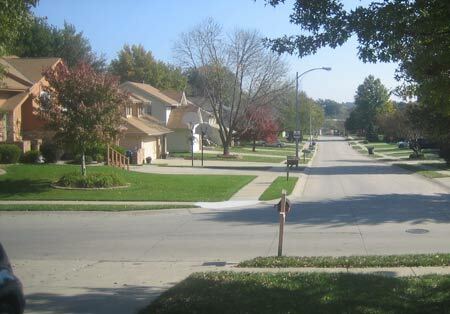 Omaha looks a lot like Sacramento, but I began to note some small differences. Many of the houses had "storm doors", a second, solid glass door which was installed on the outside of the regular front door. Main roads had a wide grassy margin on either side. One whole day had pretty much been dedicated to travel, and the next day was spent recovering, but we did manage to visit one of the infamous Super Targets! I was totally excited. Super Target is a Target store combined with a Supermarket. Please continue reading page 2 of Omaha is not in California.